The Lafayette Bridge will be the meeting point, and likely a subject of an upcoming Jane’s Walk event coming up in Fayetteville. Local historian Charlie Alison will soon lead a walking tour of historic sites along Frisco Trail in Fayetteville. The ‘Jane’s Walk’ event is part of Walton Arts Center’s 2018 Artosphere Festival, and is set for 10 a.m. on Sunday, June 10. 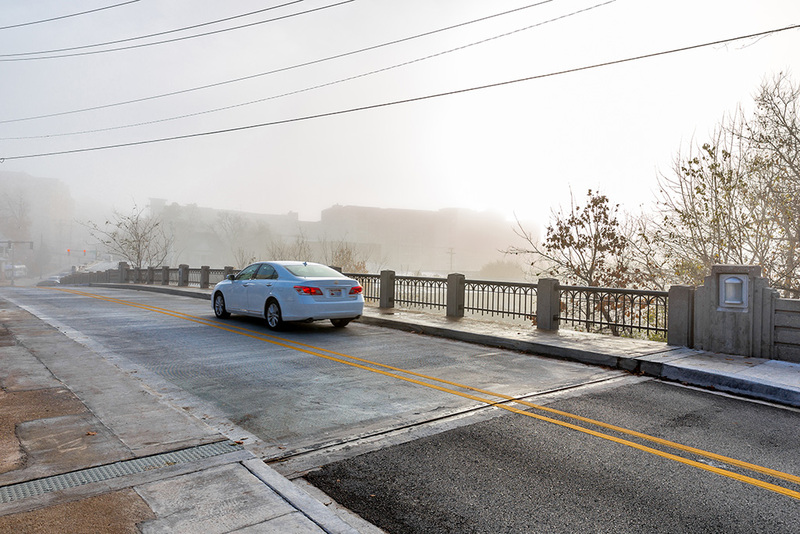 The tour will embark from Lafayette Street Bridge between West and Gregg Avenues in Fayetteville, and will make its way from the bridge down to Martin Luther King Jr. Boulevard. Alison will point out items of significance in Fayetteville’s urban history, historic residences, industrial sites, and other changes along the trail during the tour. For those unfamiliar, Alison is a journalist, historian, and executive editor on the University Relations team at the University of Arkansas. He is the author of A Brief History of Fayetteville, Arkansas, and has lived in the city since 1965. He is also an executive board member of the Washington County Historical Society, and editor of Flashback, the society’s quarterly historical journal. The walking tour is free to attend and open to the public.